I read a whole bunch of FANTASTIC FOUR comic books as a kid so you know I was geeked about the newest film featuring this classic team of Marvel superheroes. Unfortunately, I wasn't able to catch the flick while it was in theaters so I'm going to have to wait until its Blu-ray and DVD release on December 15, 2015 to see it. 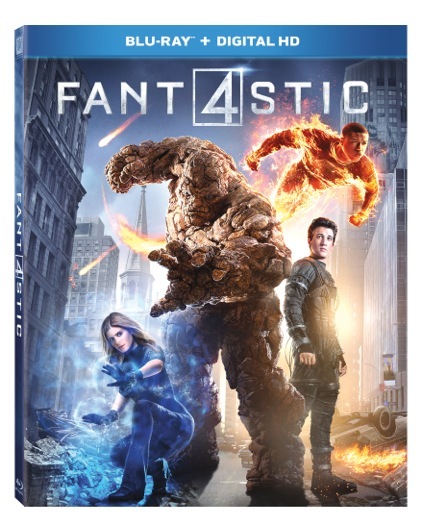 Of course, I want to share this experience with my blog readers, so courtesy of my friends at Twentieth Century Fox Home Entertainment, A Geek Daddy has a Blu-ray/DVD combo pack of the #Fantastic4 movie to giveaway. When four young outsiders create a device that teleports them to an alternate universe their physical forms are altered in shocking ways. Their lives changed forever, Reed Richards ("MR. FANTASTIC"), Sue Storm ("INVISIBLE WOMAN"), Johnny Storm ("THE HUMAN TORCH") and Ben Grimm ("THE THING") must harness their incredible new powers and work together to save Earth from a former friend turned enemy, the infamous DR. DOOM. For a chance to win our movie prize pack submit one or all of the following entry methods to earn up to 5 entries prior to 11:59 pm EST on Wednesday, December 16, 2015. Must be a U.S. or Canadian resident over 18 years old to win. 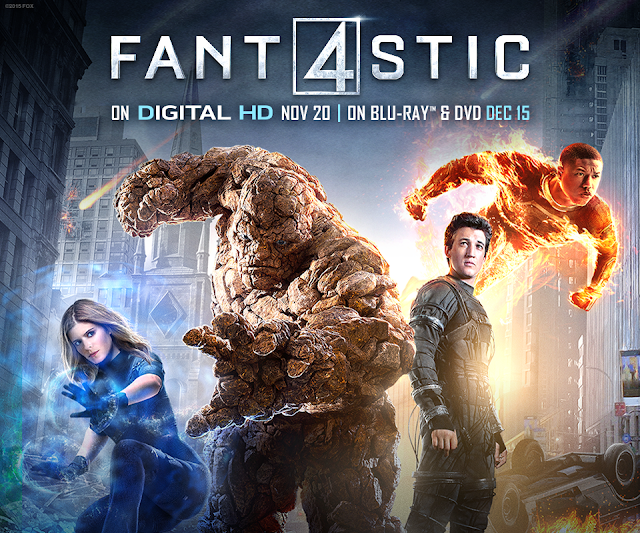 Visit our Facebook page and on the contest post leave a COMMENT telling us who your favorite member of the Fantastic Four is. 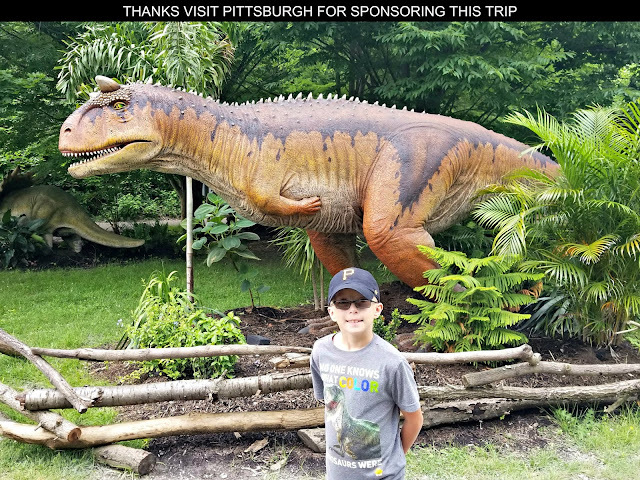 While you are anxiously awaiting the news of whether you won this A Geek Daddy blog giveaway, have some fun enjoying these Fantastic Four activity sheets.